Bernard Hopkins’ age is 51 years old and he is entering the ring for the last time against current WBC international light-heavyweight champion, Joe Smith Jr.
Hopkins has managed to establish himself as not only one the greatest fighters of all time, but also one of the smartest in terms of the business of boxing. So, before the big fight, we’ve assembled a Bernard Hopkins wiki so you can get a feel for the man before he enters the ring for his final fight. Check out this collection of his greatest hits, misses, his personal life and even a look at Bernard Hopkins net worth. Bernard Hopkins Jr. grew up in the rough and tumble Raymond Rosen projects of Philadelphia. Like many men in those situations, Hopkins quickly found himself in a life of petty crime as a mugger and thief. By seventeen, Hopkins had ended up with a new moniker; inmate Y4145, given to him when he entered the walls of Graterford State Penitentiary. It was within those prison walls that Hopkins’ story could have very much ended, but two things happened. Hopkins witnessed a murder in prison, one that very much told him what his potential future might be. The second thing that happened was that Hopkins discovered boxing. After converting to Islam, earning his GED and picking up a solid foundation in the pugilistic arts behind bars, Hopkins vowed to make something more of himself and not end up as just another statistic. Boxing was going to be Hopkins’ way out. Hopkins quickly entered the professional boxing world with a debut loss, on October 11, 1988. He took nearly a year and a half off from fighting, but came back with a vengeance in a unanimous win over Greg Paige on February 22, 1990. This quickly lead into a defining two-year run as a new fighter, with over twenty-one wins between 1990 and 1992. Out of those twenty-one fights, sixteen were wins by knockout and twelve of those knockouts were in the first round! While Hopkins lost his first title fight against Roy Jones in 1993, Hopkins finally captured his first title in 1995, when he won the IBF middleweight championship and then defended it twelve times over the next five years, without a single loss! In 2001, a tournament began to unify boxing’s major middleweight championships. Fight after fight, Hopkins came out on top, eventually becoming the first undisputed middleweight champion since 1987. He would go on to defend his undisputed championship numerous times and by the time Hopkins hit 40 years old, (an age most fighters are at least contemplating retirement if not already hanging up their gloves) he had defended his title 20 times. It wouldn’t be until 2005, that his streak was broken by Jermain Taylor. Hopkins has had a very successful career as a lightweight before heading to his final fight this weekend. 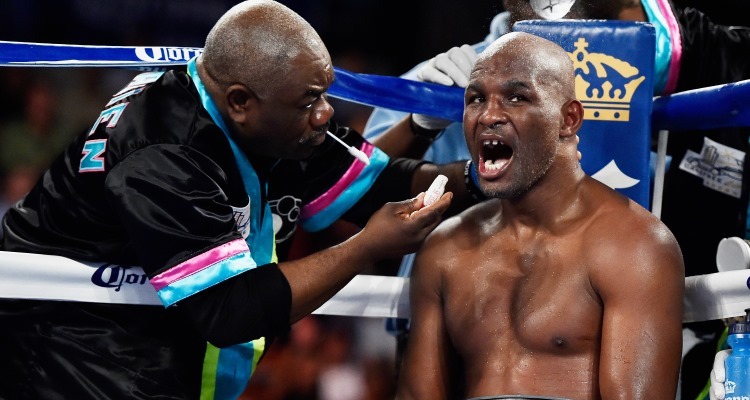 As it stands, Bernard Hopkins record as a professional fighter is fifty-five wins (thirty-two by knockout), seven losses, two draws and two no contests. Unlike many other boxing celebrities that rose through the ranks around the same time Hopkins did, Hopkins has managed to keep a peaceful and quiet personal life. You never read about Hopkins or Hopkins’ wife, Jeanette in the tabloids, nor do you hear about either of his daughters. In fact, the only thing that brought Hopkins’ two daughters into the public eye, is the fact there is an eleven-year age gap between the two girls. That’s it. Reportedly they all lead normal lives outside of the spotlight with the possible exception that Hopkins has done incredibly well for himself financially as a fighter. It’s Good to be the Champ! Bernard Hopkins’ earnings over the years have been very good. With a reported net worth of approximately $40 million! What’s more, much like his private life, Hopkins hasn’t fallen to the pitfalls of bad management or wasteful spending like other fighters have done in the past. He’s never filed for bankruptcy and while he may not have made the money Tyson or Hollyfield did in their prime, Hopkins managed to keep his earnings. 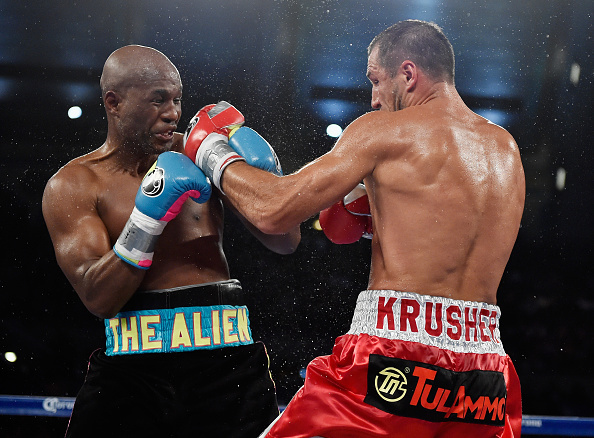 For Bernard Hopkins’ last fight, he stands to make a decent amount of money from that. Bernard Hopkins vs Joe Smith Jr may not have the cache of his last major pay-per-view fight (Hopkins / Jones II, which brought in 7.5 million in revenue) but given that Hopkins has stated that he is retiring no matter how the fight turns out, there is a chance that it will do a smaller but similar number. Most importantly, Hopkins has taken good care of himself, physically and financially so it looks like he’ll be able to enjoy the fruits of his fights for many years to come.